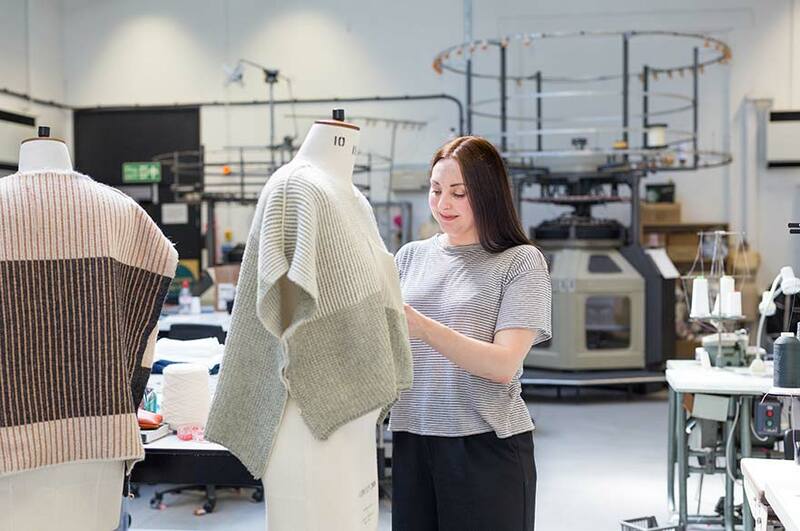 Our MA Fashion Knitwear Design course will encourage you to innovate through experimental research and practice to develop a forward-thinking and challenging approach to realise advances and new directions in fashion knitwear. 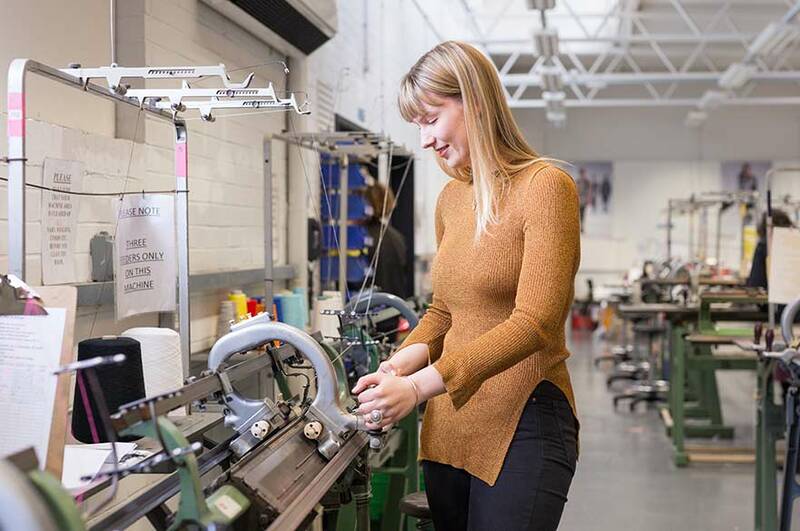 Through working closely with dedicated expert academic, technical and research staff, you'll enhance and develop new and advanced specialist knowledge and skills for knitted textiles and fashion knitwear design. 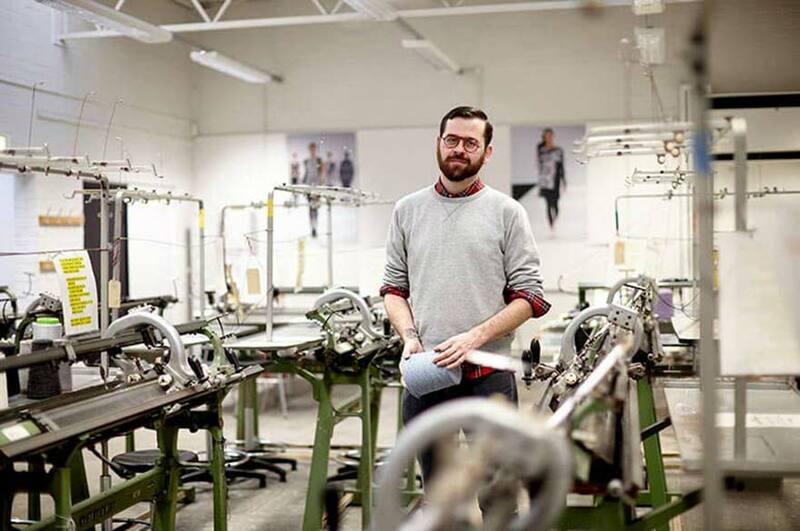 With more than 30 years’ experience and an international reputation for excellence in fashion knitwear design, we will support you through ﬂexible and responsive teaching and learning, helping you to explore and challenge the limits of fashion knitwear design. 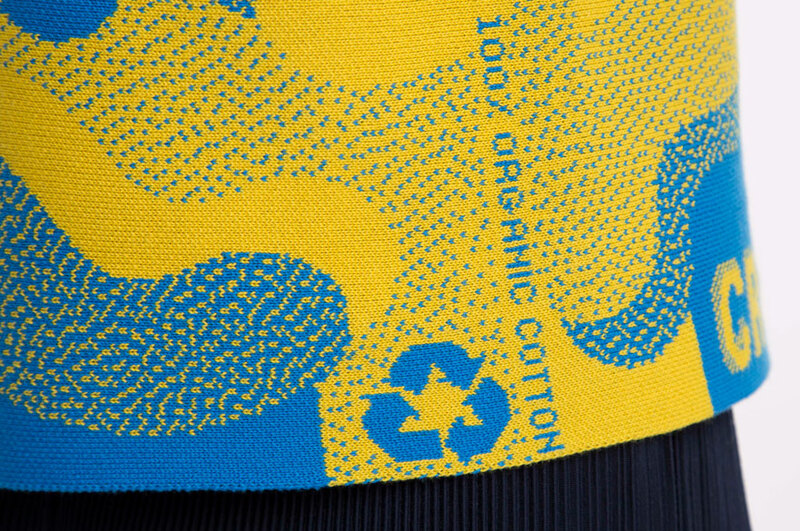 Kate scooped first prize in the world’s largest sustainable fashion competition, EcoChic. 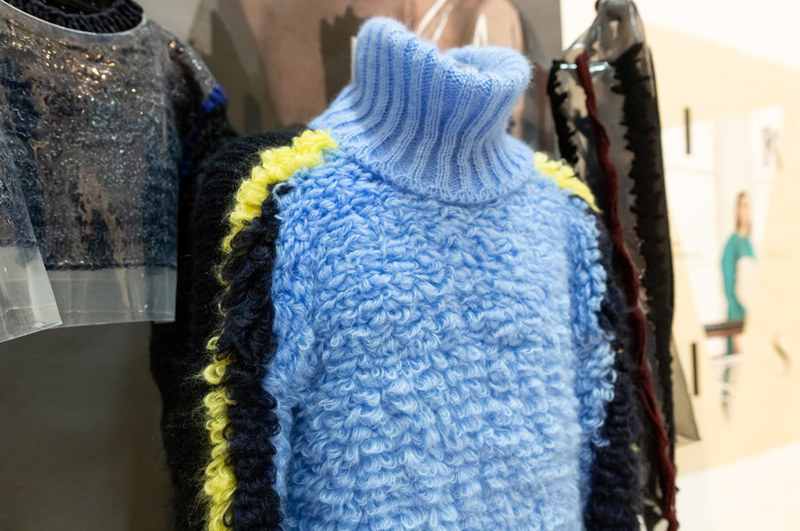 You’ll have health and safety inductions in our fashion knitwear design resources, including the ﬂatbed and advanced power knitting (Shima Seiki and Stoll) technology available. 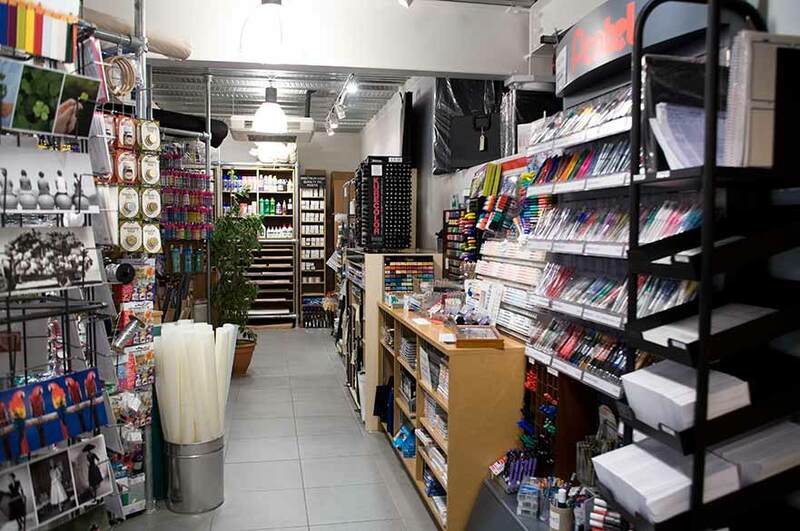 This will be followed by practical Dubied ﬂatbed and computer-aided design (CAD) knit workshops. 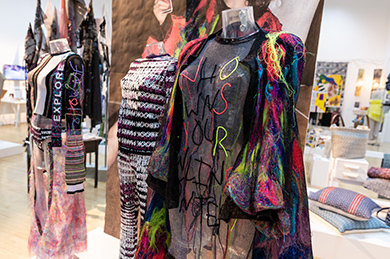 You’ll also have the option to join other related fashion and textiles inductions, where appropriate, relating to the emerging focus of your project. 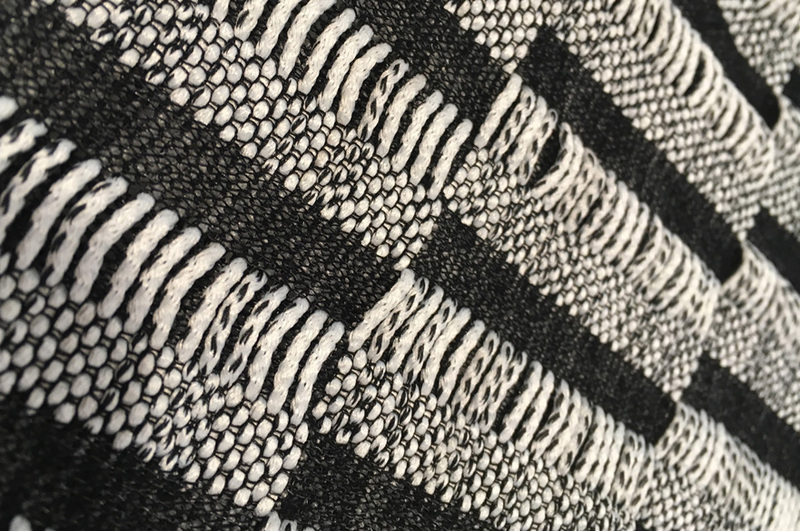 Inductions into our resources are complemented by workshops in visual research and in 2D and 3D design development, encouraging experimentation in your area of interest in fashion knitwear design. In February and April, you’ll present your work to date in formal verbal and visual presentations to the course leader, supervisors, and your peers. 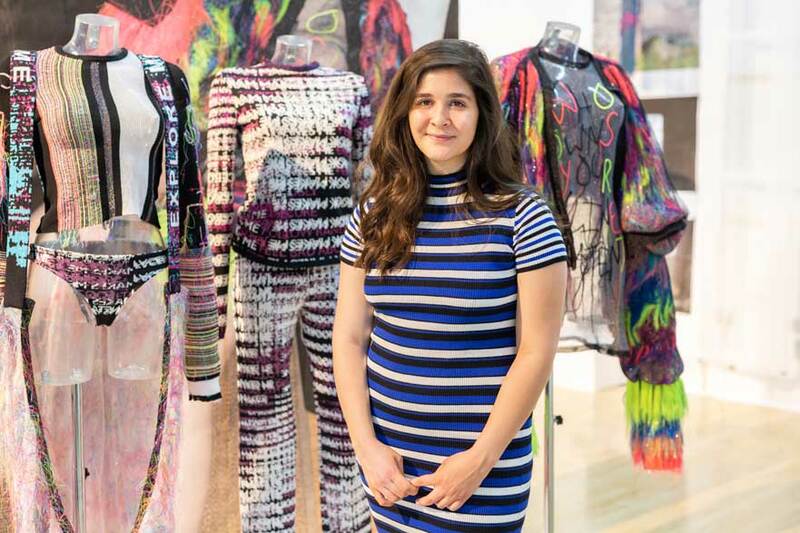 You’ll effectively articulate, critically analyse and reﬂect upon your progress through examples of theoretical research, practical design work, and reﬂection on your developing fashion knitwear design practice. You’ll also be asked to submit your work to date, including evidence of reﬂective practice, an understanding of research methods, and project development work. 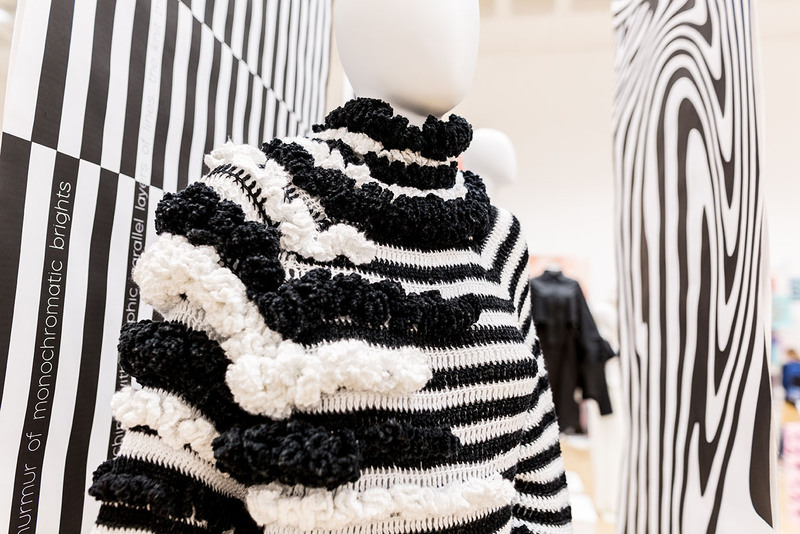 During the module, you’ll also consider options for sharing your fashion knitwear concepts, designs and prototypes in public forums through exhibition briefings and professional practice lectures and seminars. This will provide you with opportunities to present and critique your work, and that of others, in order to support you in the successful and professional resolution of your project. 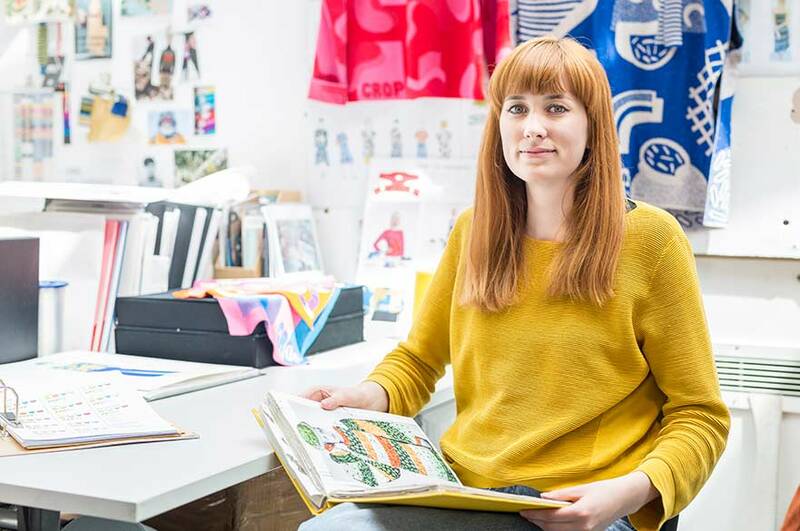 Portfolio tutorials will support you in resolving the visual communication of your project in a format that reﬂects your individual philosophy and identity as a fashion knitwear designer. styling within companies and brands. In addition to the main focus of your project as set out in the project proposal, you are encouraged to enter national and international competitions such as the Shima Seiki Competition, where the winner is awarded an all-expenses paid trip to the Shima Seiki headquarters in Japan for a two-week training course. 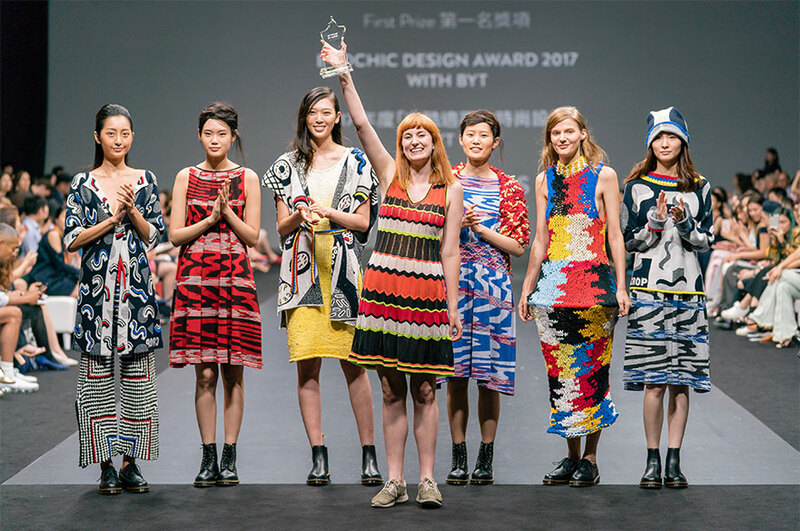 Other competitions include the Redress Design Award (formerly EcoChic), Woolmark Performance Challenge and the Arts of Fashion Competition. Prestigious competitions provide you with opportunities to demonstrate and promote your creative and technical skills and ability to answer an industry brief to a global audience, that can lead to employment and press opportunities. Talented Kate Morris, winner of the EcoChic Design Award on the catwalk with her winning collection. 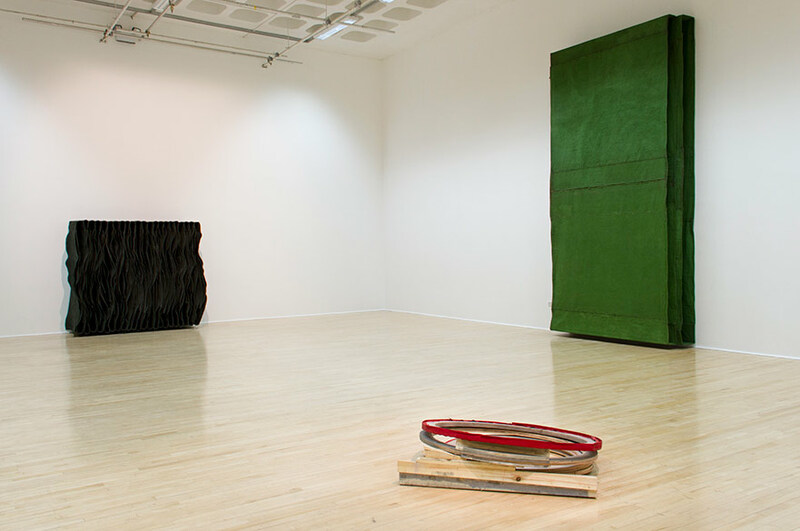 Photo courtesy Redress. Lace Unravelled with Nottingham Castle. Our students also benefit from visits to Nottingham Castle to explore their extensive fashion and textiles archives. 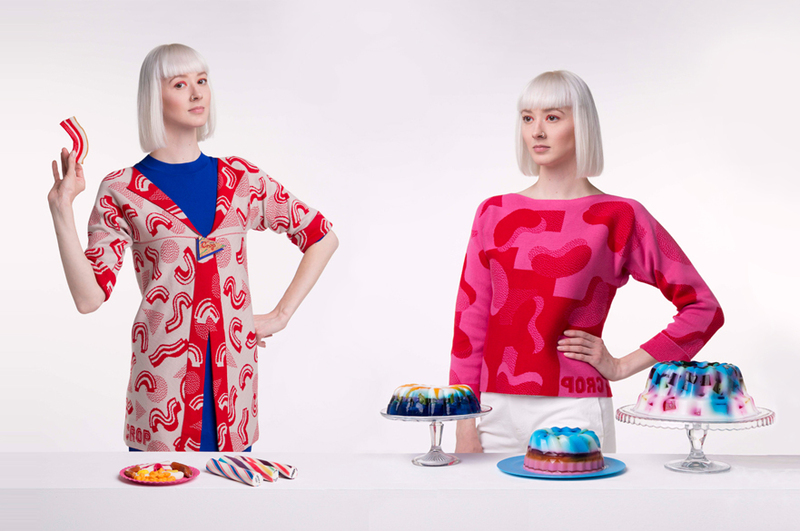 North: Fashioning Identity at Somerset House. Li Edelkoort’s Trend Union studio, Paris. Student, Katy, working in one of our extensive knitwear workshops.